We have a large bamboo steamer in yesterday’s blog and today a miniture one is featured. 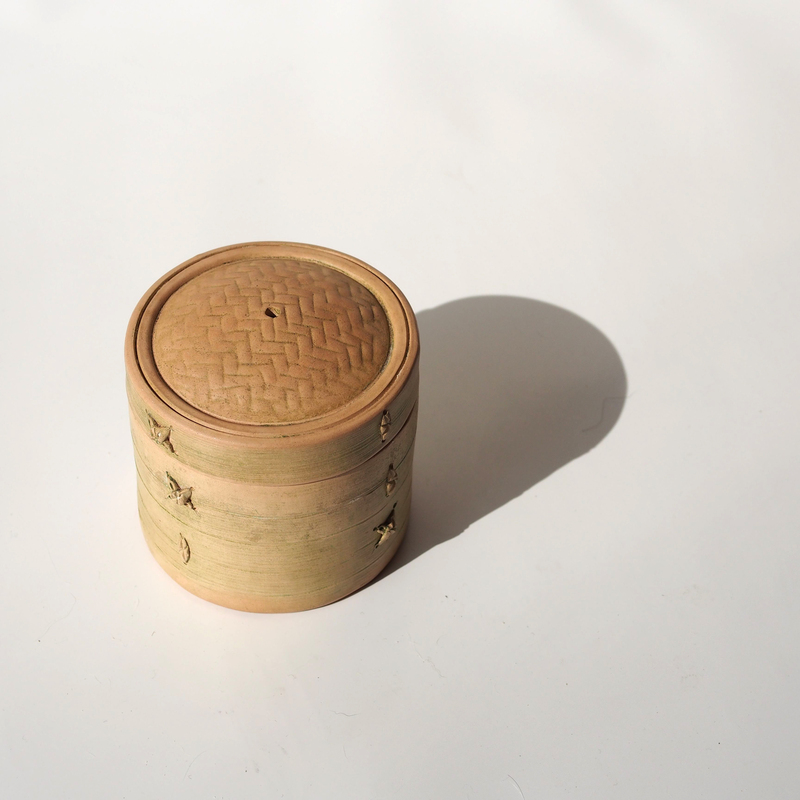 This small tea container is a Yi Xing pottery, the famous teaware province. As all Yi Xing teapots are hand built instead of made by on the potter’s wheel, the artisan are extremely crafted with their hands. This miniature has all the details of the real bamboo steamer. When one think of Yi Xing pottery, the dark brown colour clay (Zi Sha) comes to mind. The brown colour of the Zi Sha comes from the high content of iron. In the same area apart from the Zi Sha are other types of clay and the white clay is one of them.